Are Americans drinking enough water every day? Americans' worries about not being properly hydrated may be unfounded: A new government report finds most are getting enough water each day. 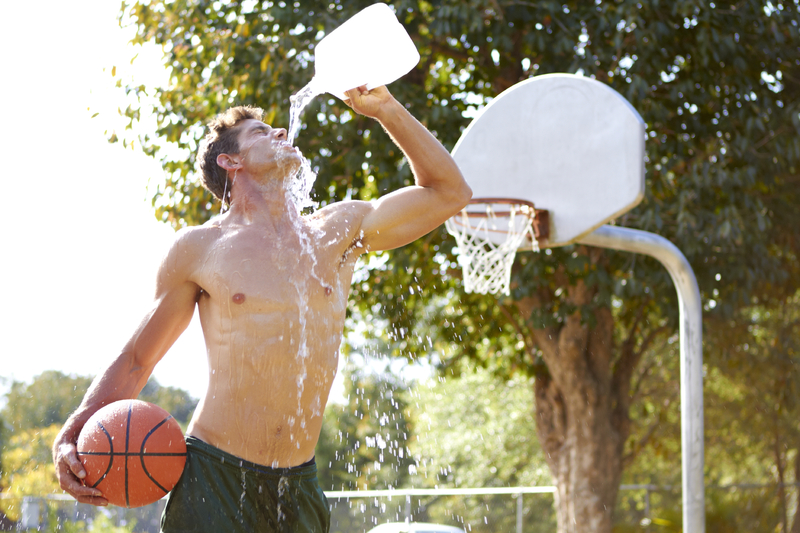 The data, from the U.S. National Health Nutrition Examination Survey for 2009 to 2012, found that adult men take in 117 ounces of water daily, on average -- more than 14 cups. For women, the number is 93 ounces, or almost 12 cups daily. The study was conducted by Asher Rosinger and Kirsten Herrick, of the U.S. Centers for Disease Control and Prevention. They noted that in 2004, the Institute of Medicine set "adequate" daily intake of water at 125 ounces for men and 91 ounces for women. The new data suggest that the average man approaches the needed level, and the average woman more than meets it. Of course, not all of that fluid comes in the form of plain water. Only about 30 percent of daily water intake for men in the new study came as plain water, with women drinking a bit more, at 34 percent. The rest of Americans' daily water intake comes via other liquids, such as sodas and juices, or through food. One expert noted there are potential downsides to taking in water via juices or sodas, however. "Juice and soda can count as fluid, however they also add extra calories and over time may lead to weight gain," said Antonella Apicella, a nutritionist at Lenox Hill Hospital, in New York City. "Water is the most hydrating fluid there is." The CDC study did find variations in how much water people took in each day. For example, people over 60 tended to take in less fluid than younger adults, and whites tended to drink more water than blacks or Hispanics. And as physical activity levels rose, water intake tended to rise as well, the researchers found. "Fluid needs vary quite a bit from person to person, and the old standby recommendation of eight to 10 cups a day has caught on with most people, though it's not based on any science," noted another expert, sports dietitian Dana Angelo White. "I often recommend half your weight in ounces as a starting point," said White, who is also an assistant clinical professor at Quinnipiac University, in Hamden, Conn. "For example, if you weigh 150 pounds, aim for 75 ounces of fluid per day, and more if you exercise regularly. "It is also true that all fluids count towards your hydration. Water is often best but other beverages and high-water foods like soup all count towards your daily tally," she said. Apicella also cautioned that there's such a thing as taking in too much water -- something marathoners and endurance athletes are sometimes prone to do. "Drinking too much water can lead to [a dangerous condition known as] hyponatremia, or low blood sodium concentration, which occurs in overhydration," she explained. "When hydrating, it is important to replace fluid with electrolytes such as sodium and potassium to prevent hyponatremia." The new study was published April 26 as a Data Brief from the CDC's National Center for Health Statistics.